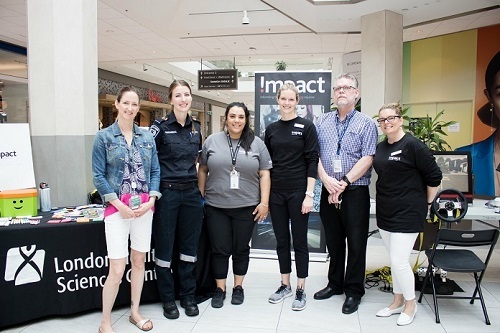 Thank you to CF Masonville for hosting the !mpact team and our partners (Middlesex London Health Unit, London Police, Ministry of Transportation and Middlesex London Paramedics) on June 28th, 2018. We had a great day connecting with children, youth and families as we wrap up another school year. The !mpact team would like to remind everyone to stay focused on the roads this summer and always plan a safe ride home. Get out and have fun, but remember to always wear your safety gear! To a SAFE and fun Summer! See Something – Do Something.